South African crew, sometimes referred to as ‘Japies’ on the international sailing circuit, often feature as crew on the top boats. The One Ton Cup starts today, and there is a smattering of ‘Japies’ on the crew of some of the top yachts, whilst South African naval architect Shaun Carkeek is hoping that his designs will occupy all 3 podium places. Leading the ‘Japie’ challenge is perennial campaigner Mike Bartholomew and his trusty steed ‘Tokoloshe’, while a man with strong ‘Japie’ roots is Ant Spillebeen who is aboard ‘Girls on Film’. Niklas Zennstrom’s new generation Carkeek-designed ‘Rán VII’ has left everyone in its wake this season in winning the first four rounds, and although the last round last month was the closest so far, ‘Rán’ will start as the overwhelming favourite. 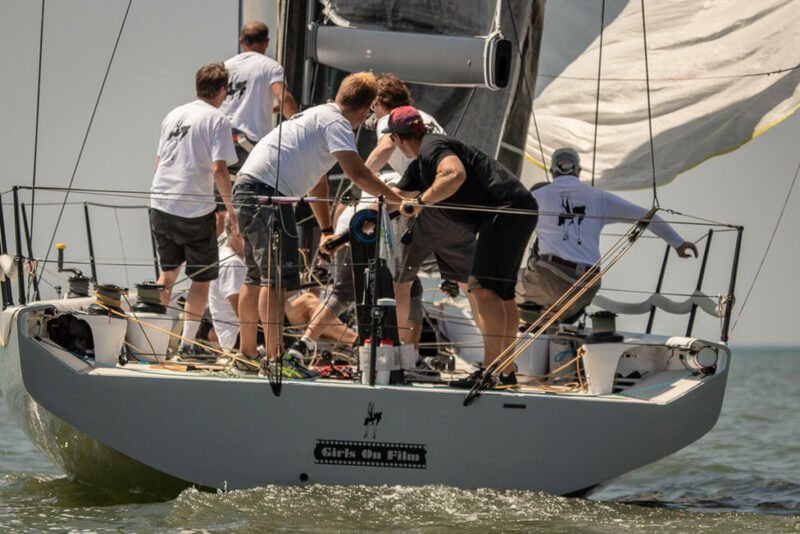 “It’s always been difficult to win the Trophy so winning the OTC for a second year in a row was extremely pleasing,” Peter Morton, the owner/skipper of the previous generation Carkeek-designed ‘Girls on Film’, said. But Rán Racing has not been resting on its laurels. “In between round 4 & 5 we have primarily been working on the maintenance schedule, servicing winches, hydraulics and running rigging,” Tim Powell, the experienced British sailor and long-time core part of Rán Racing, said. “The boat has been performing well, so we have taken the approach of fine tuning rather than making any major changes. 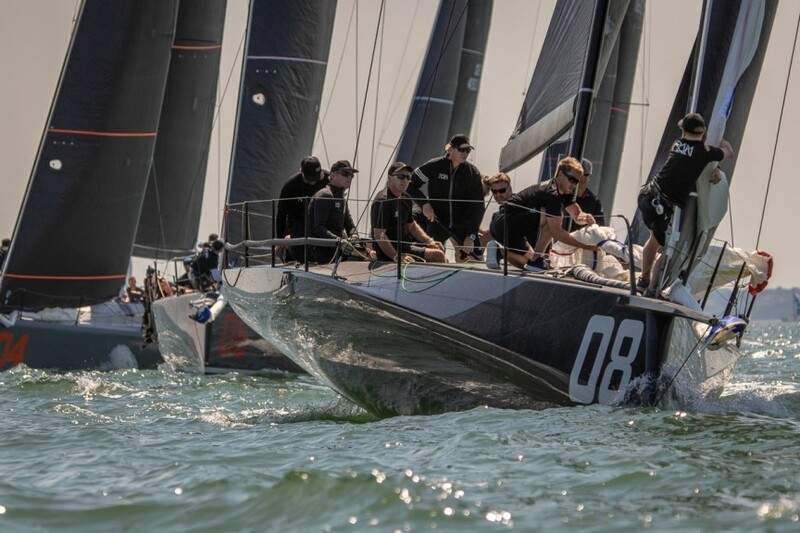 ‘Girls on Film’ will be aiming for their hat-trick in Round 5 of the 2018 FAST40+ Circuit, the One Ton Cup hosted by the Royal Ocean Racing Club in the Solent from September 13-16. But there is a new boat in town. ‘Girls on Film’ won a thrilling 2017 regatta to become the first team to retain the One Ton Cup since 1993. And Carkeek boats occupied all three places on the podium. But even in victory a year ago, Morton will have known that it would be even tougher to win in 2018 with the news that Rán Racing had commissioned a new Carkeek boat. This year the three different generations of Carkeek boats in the fleet have been even more dominant in this high-performance planing monohull class. After a third 1-2-3 in round 4 at the Lendy Cowes Week, they occupy the top four spots of the Fast40+ leader board. ‘Rebellion’ are in third and ‘Hitchhiker’ in fourth. This time last year Powell and the team were competing on the 52 Super Series. “Naturally we’re pleased when our designs do well, and especially for our clients who invest so much effort into their respective campaigns,” Shaun Carkeek said. “Our teams have entered the Fast40 arena via different platforms and it’s interesting to see how they’ve each adapted, developing unique styles on our platforms over the past two seasons. 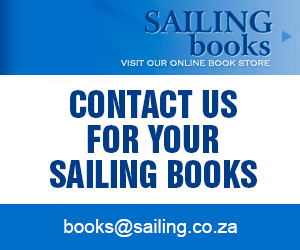 It’s illustrated how our boats suit a wide variety of sailing styles and skill sets. Based in Palma, Mallorca, Carkeek Design Partners has 24 years experience designing racing yachts that have been victorious on every major regatta stage and have conformed to all major rule platforms. While continuing to design for the Grand Prix racing circuit, including the Fast40+, Carkeek is developing the next generation of ultra-light sailing superyachts. The jewel in their design crown is the plan for the C 300, which, at 300ft, will be the largest composite sailing superyacht ever constructed. Carkeek Design Partners won the Concept Award for the C 300 at the Design et al International Yacht & Aviation Awards 2017. Shaun Carkeek is the founder of Carkeek Design Partners. He is a member of the Sailing Yacht Research Foundation and ORC’s International Technical Committee. 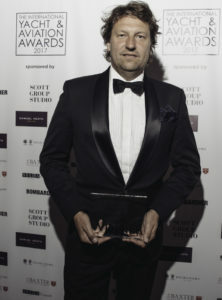 As well as his design achievements, he is a former South African Yachtsman of the Year. The FAST40+ circuit is an owner-driver class with a Corinthian ethos. There is a maximum crew of 11, which can include no more than five professional Cat3 sailors. The number of sails used and modifications to the boats are also restricted. The FAST40+ Class produces very competitive racing in a boat capable of speeds in excess of 20 knots.